Diabetes is a preventable illness in the United States. Due mostly to widespread obesity, type 2 diabetes is somewhat of an epidemic. Most people know someone with type 2 diabetes, or have at least heard of it and probably know some information about the condition. Juvenile diabetes, however, is much less heard of. Also called “type 1” diabetes, juvenile diabetes is a condition marked by little or no production of insulin by the pancreas. Unlike “type 2” diabetes, this form of diabetes occurs due to a deficiency in the body and not because of an unhealthy lifestyle. Usually, type 1 diabetes is diagnosed in childhood or before the patient reaches the age of 20, thus the name “juvenile” diabetes”. In almost all cases of juvenile diabetes, insulin therapy is required to help balance blood sugar levels. There is no known exact cause of juvenile diabetes; however it is thought that it is mostly genetic. The disease occurs when the immune system attacks the cells that make insulin. These cells are in the pancreas, and are referred to as beta cells. When the body cannot create insulin, there is little to nothing to control the body’s glucose. Insulin acts somewhat like a transporter for glucose, which your body uses for energy, around the body. Without insulin, the glucose just builds up, leading to high blood sugar levels and a host of issues and side effects. 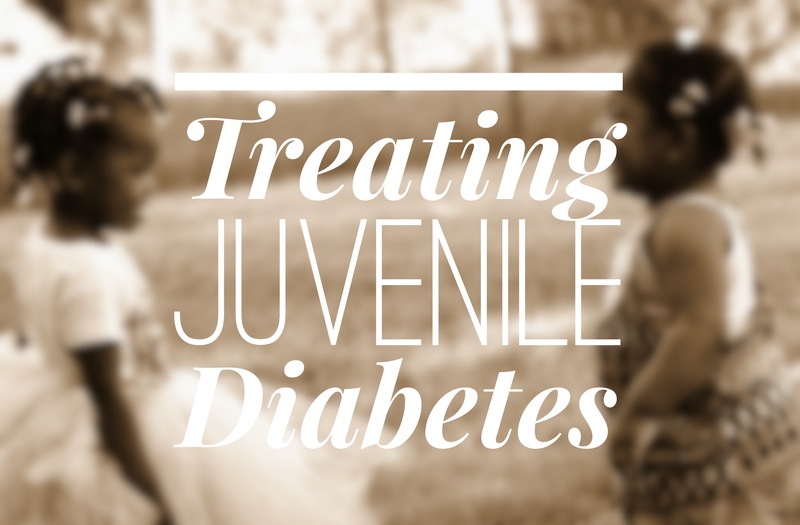 In almost all cases, insulin therapy is needed for juvenile diabetes. Insulin therapy comes in different forms. There are pills, injections, and for more severe cases, an insulin pump. Insulin pumps are worn throughout the day and can automatically administer insulin directly into the patient’s system when needed. Juvenile diabetes is a tough condition to deal with, especially in very young children. It is, however, quite manageable with medications and treatments available through modern medicine. Children and young adults diagnosed with juvenile diabetes can and do live very normal and active lives. For more information about juvenile diabetes, click here. How Does the Amount of Protein and Fat I Eat Affect My Blood Sugar?